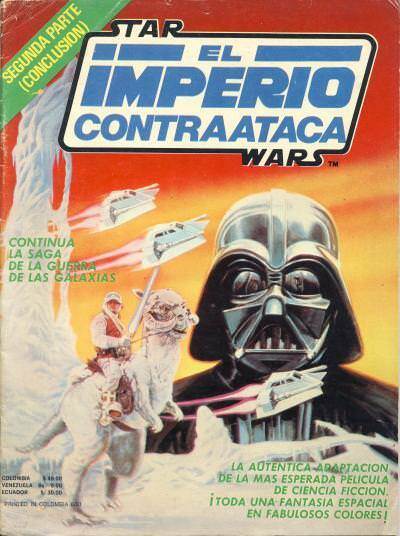 The Empire Strikes Back adaptation was published in Colombia by Carvajal S.A. Publicaciones in 1980 as the 2-part Star Wars: El Imperio Contraataca magazine. 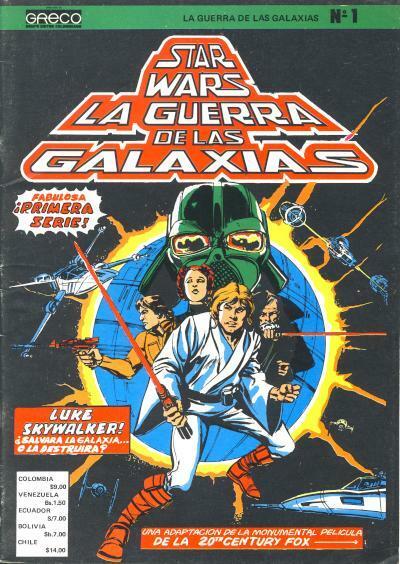 According to prices printed on the cover, these were distributed in Colombia, Venezuela, and Ecuador for Spanish readers. 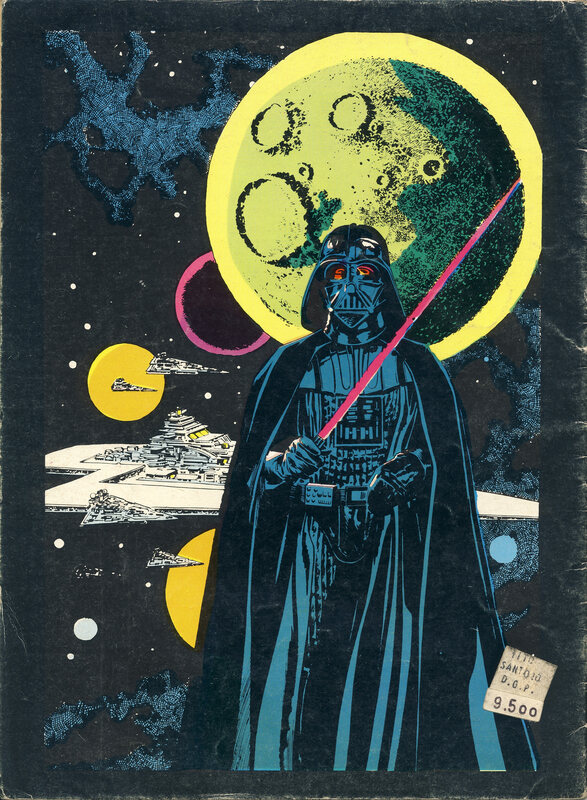 Carvajal published other Marvel comics in the early 1980s, but not many based on the scant information found online. 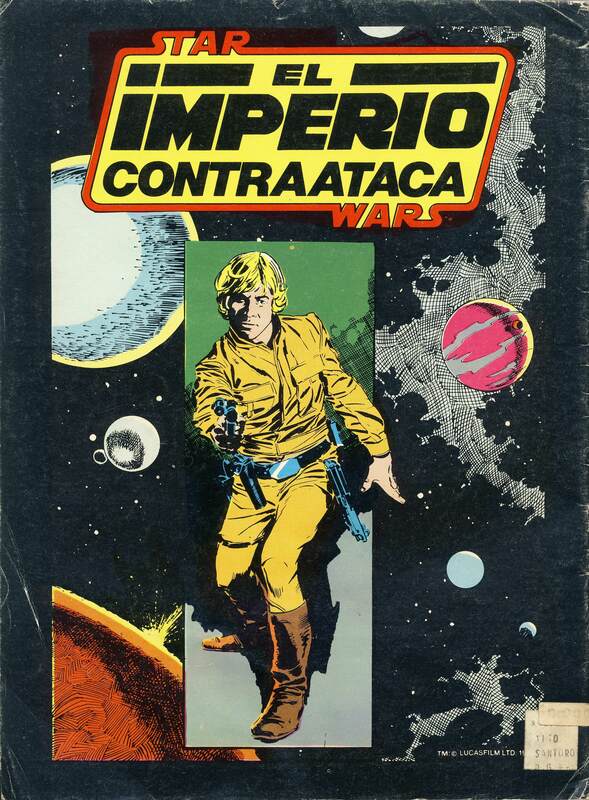 Star Wars: El Imperio Contraataca #1 is fashioned after Marvel Super Special #16 including the dimensions of the publication and the front cover artwork. Even the indicia inside says the title is Marvel Super Special although that title is not used on the cover. Star Wars: El Imperio Contraataca #2 uses the same cover artwork as the first issue, except the title is in blue instead of red. It also has a green banner in the upper left hand corner that states Segunda Parte (Conclusion) or Second Part (Conclusion). The Yoda depicted inside is the redrawn version which makes sense since these are foreign editions of Marvel Super Special #16. These issues are rarely seen for sale and I only recently acquired the first issue after having owned the second issue for a few years.